The Albuquerque Police Department has completed a lengthy homicide investigation from 2016. The murders of 23 year old Juan Carlos Saenz-Ponce (1/92) and 24 year old Daniel Chumacero (10/91). This same incident also resulted in the shootings of Jorge Hernandez and Jose Hernandez on August 8, 2016 located at 341 General Marshall NE in Albuquerque. This was a multi-jurisdictional investigation that included Federal, State and local law enforcement agencies. The hard work and joint effort of all these agencies led to the arrest of three very dangerous men. The Albuquerque Police Department made the decision to apprehend these subjects utilizing SWAT and CNT officers due to the potential of violence these suspects posed. This was done in an effort to keep both the officers making the arrests and the community safe while these apprehensions were made. 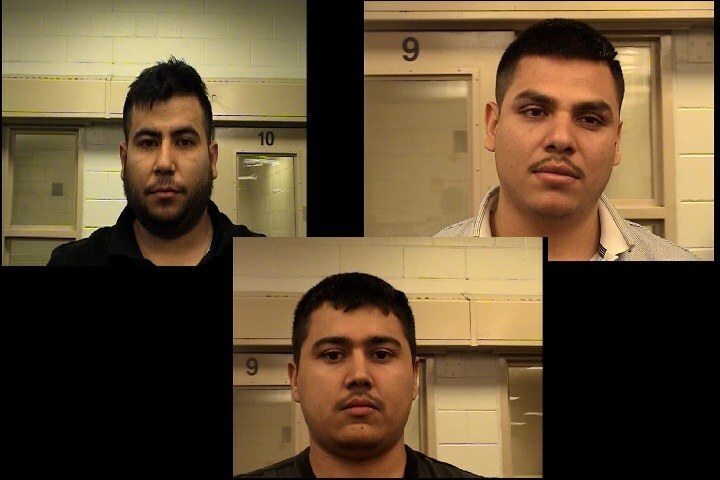 This resulted in the successful arrests of Eder Thomas Ortiz-Parra of Rio Rancho, Edwin Edsel Oritz-Parra of Albuquerque, and Rafael Gonzalez-Parra of Santa Fe for the charges of Murder, Aggravated Battery and Conspiracy. This is a very sensitive case due to the information which was provided to all agencies and the risk of retaliation to those involved. An order was filed to seal the affidavits due to these documents containing sensitive information of confidential informants and witnesses who assisted with this investigation. The Albuquerque Police Department is responsible for ensuring the safety of these individuals and we feel we have been successful in doing this. We want to thank the media agencies who were patient and understood the dynamics of this case as we furthered the investigation and helped maintain the integrity of this case in order to ensure these men stay in custody.